The Cup’s 2013 location is likely to attract such a substantial crowd, making an eco-aware event all the more necessary. With millions of people gathered for races, the risks of plastic waste being carried into the port and out to the Pacific Ocean are enormous. While aspects of the plan simply meet policies instituted by San Francisco Port Authority, the Sustainability Plan creates the possibility for the race to serve as a huge eco-consciousness raising event. Spectators will be provided with options for recycling and composting, and stations for refilling reusable water bottles. The Sustainability Plan is impressive stuff, and with over a year before the race, America’s Cup may well be able to pull off a ground-breaking large-scale green sporting event. Just remember to bring your reusable water bottle, and hold onto your balloons! Organizers of America's Cup expect at least five million people to turn out for this year's spectacular yacht race in San Francisco, which is slated to be a zero-waste affair. In a mammoth undertaking, spectators of the June and September events will be unable to obtain disposable bottles of water, non-compostable picnic utensils, or plastic bags at the race. 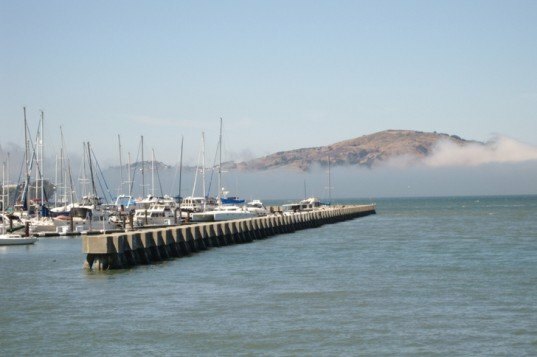 The event organizer's admirable 'Sustainability Plan' falls right in line with new green policies implemented by the San Francisco Port Authority, who also mandate that there be no "intentional release of balloons."